Now the cold months are coming in, it's time to wrap up warm and choose clothing that will cover you up more. That doesn't mean that you have to lose the style though. Autumn is upon us and that means we will be seeing a lot of reds, oranges and yellows around and so those should be our colours of choice in the clothing stakes. Fit in with the seasons and work with them. I have decided to kit Thomas out in new clothing ready for these colder months and lucky for me, Asda have a huge range of Autumn Brights items at the moment. I like to buy clothing from Asda because they have a 100 day satisfaction guarantee and I think that if they believe that their clothing will still be in great condition after this time, then the quality must be fantastic. 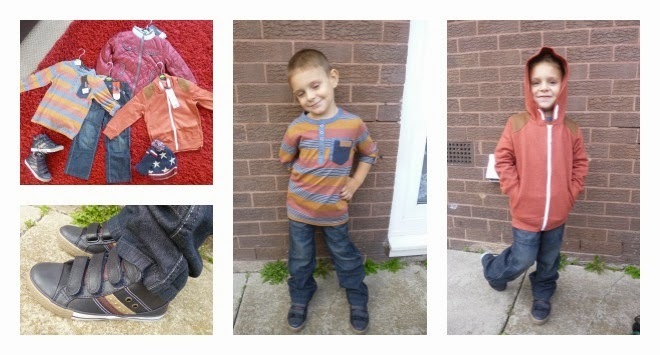 We had fun choosing a whole new outfit including outdoor wear for Thomas. We chose a nice pair of jeans and a long sleeved top as the basic elements and for when it gets chilly the hoody will keep him warm. The quilted jacket keeps up with the autumn colours but is padded and warm for when the cold hits us with some nice high-tops to match and also a beanie hat and some gloves to keep Thomas nice and toasty. 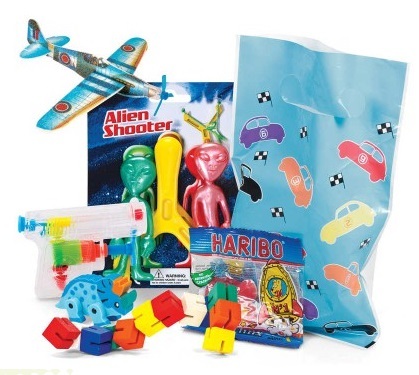 As an avid shopper at Asda, I am used to the sizings and know what will fit my boys. Thomas is tall and thin and usually, buying bottoms is quite hard work because they either fit in length or width, not both but lucky for him, Asda do a nice range of jeans and bottoms which have an elasticated waist which helps to fit better and will grow with the child. The outfit and accessories fit perfectly on Thomas and look cool for the great Autumn season we are coming in to. The reds and oranges and so in season and look bright and bold and stand out loads. The gorgeous red quilted jacket is so stylish and yet still practical. It has quite thick padding to keep Thomas warm and has small pockets too which are great for holding Thomas' gloves in. Pumps are so in fashion at the moment too and these Hi-tops are not only pretty but have a nice warm feel to them and have lovely Autumn colours in their stripes which again, fit in with our Autumn theme. Not only that but because they are hi-tops, they keep Thomas' ankles and bottom of his legs warm which will be great for the upcoming colder months. I love these gorgeous Autumn colours and think that dressing for the seasons makes sense and cannot wait to see what the next seasons bring. We have now officially done a full month at school now and the routine should be just about in full swing. But what happens when the routine goes out of the window and something happens such as illnesses, accidents etc? 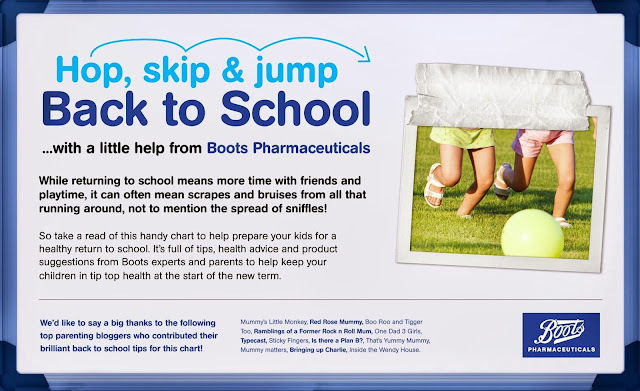 Well now you can be prepared as Boots have created a Back to School Wall Chart which gives you hints, tips and advice from Boots own Health Experts and parents from the blogging community. It shows exactly what the health professionals advise, what bloggers tips are and the perfect products to help protect your children. To have a look at the full three pages of the wall chart for yourself, just head on over to the Boots UK blog. You can have a look to see if there are any tips that will help you and your family. Things like taking vitamin supplements to keep the immune system in tip top shape and always having a first aid kit handy as children can fall over there own feet sometimes. Or even, with the new school term, make sure that you have some blister plasters as those new school shoes could rub and make your child uncomfortable. Keep an eye on our blog as there will be another post soon showing how we got on with a few of the products shown on the wall chart and what we think of the tips too. If you're a regular reader of my blog, you will know that I have been moaning talking about my weight recently and finally realising that I need to do something about it. I'm not too much overweight but do have what I would call a 'saggy' tummy from being pregnant with the boys and I hate it. So I decided that I will start going to the gym and doing everything possible to lose weight and tone up. That's when I started looking into sports bras. This is one thing that I will definitely need when exercising as having a big bust means that vigorous movements can cause 'bouncing' and actually hurts too. After extensively looking around for the best I could find, I cam across the new Panache Sports Bra for the Autumn/Winter 2013 season. The Panache Sports Bra has a ‘banish the bounce’ and has had a huge success within the sportswear market as it reduces breast bouncing by an amazing 83%. The bra holds each breast by supporting and reducing movement during any exercise. This new range is made with a breathable, soft and lightweight micro-fibre and sports mesh fabrics which are comfortable to wear. It's new style and whole range of new colours stand out against other sports bras and alongside the usual black and white bras comes the new red and raspberry ones which have neon trims too. Not only is it a supportive comfortable sports bra, but it is bright and bold and stylish too. When Hotter Shoes got in touch with me asking if I would like to review a pair of their new Autumn range of shoes, I knew that this was a must especially seeing the amount of choice I could pick from. This made it difficult to pick but eventually I went for a pair that suited me. Hotter Shoes have been designing and making footwear now for 50 years that are not only stylish and practical but also have comfort built in. They believe in something called a 'Hotter moment' which is that feeling of sinking your feet into soft, cushioned comfort and realising that Hotter Shoes speak only the truth when talking about their growing range of footwear. Since I am trying to get fit and lose a bit of weight at the moment, I thought a sports shoe type would be much better for me so I chose the Octavia shoes which have a moulded footbed to make them ultra supportive. The Octavia shoes are lightweight and their moisture wicking properties keep feet fresh on the longest days. These were the reasons that I decided on this choice. I wanted a pair of shoes that would support my feet whilst I am running or doing a work out but also were light to wear and had all the usual comfort properties whilst still looking nice. The new range of Octavia shoes have a black sole and come in 5 different colours that you can choose from, chocolate, dark green, liquorice, ruby and the colour I went for, petrol, which is a dark blue. Usual lightweight footwear are really slim and have a snug fit but these are actually quite wide on the foot which is great for me as I have wide feet. I chose a size 5.5 and they fit perfectly for me. Wearing them, I found them comfortable and very easy to wear and the fact that they are moulded means that my feet just sit at the right angles to give me the comfort and support I need whilst exercising. The great depth of tread on the bottom of the sole means that they will last ages and will also grip very well which is great since we are forecast for upcoming snow. And the biggest plus of all, they didn't need 'breaking in'! This is one problem that I have nearly always suffered with and it usually takes me ages to fully break a pair of shoes in, to the point that most times they have gone out of fashion and off of my shoe rack. You can tell that each and every aspect of the shoes has been designed for comfort and durability which is the reason that Hotter shoes has such a big following and has customers coming back again and again. The Octavia shoes retail at £69 per pair which initially, I thought was a bit steep but actually after wearing them and seeing how comfortable they are, I think the price is quite reasonable. You can see more about them on the Hotter Shoes website. Feeding babies and getting formula to the right temperature can be hard sometimes. Microwaving can be hit and miss with heat and can heat bottles too quick meaning you then have to wait for it to cool down and heating in hot water can take forever. 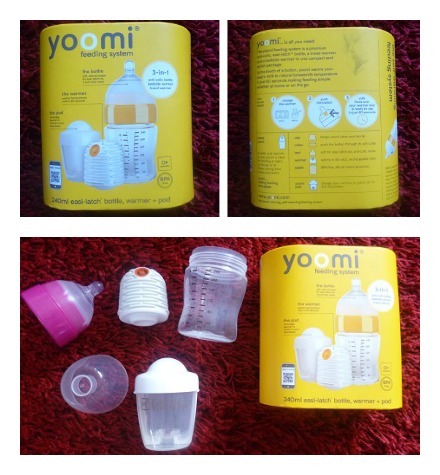 The Yoomi 8oz Feeding System states that it can warm a bottle to it's ideal temperature in just 60 seconds. Yoomi bottles have a clever integrated warmer which is activated by simply pressing the button on the side which causes the solution inside to generate heat. 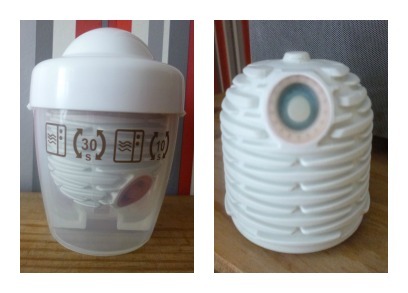 The bottle can then be tipped and whilst the baby is feeding the milk flows around the warmer which heats to breast milk temperature (around 32-34 degrees). The Yoomi bottles now come with the Yoomi charging pod. You simply place the warmer into the pod and then can recharge it in the microwave in about 2 minutes using a “heat-shake, heat-shake” process, making recharging a lot quicker. Each bottle has an extra wide neck which does make preparation of the feeds much easier and cleaning too as I can get the bottle brush inside the bottle with ease. They have a natural breast shaped teat which makes it easier for babies to easy latch on and the bottles have 6 air vents which help reduce colic. Since my boys are too old for bottles, I tried the Yoomi bottle for the first time whilst looking after my nephew. He is only 11 month old and loves nice warm bottles and will turn his nose up if it is too cold so I thought it was the perfect time to give the Yoomi bottle a go. The instructions are very easy to follow and take you down a step by step route of how to set the recharging pod. The time can differ depending on the power of your microwave but the instructions show how you will know that the warmer is fully charged and actually it was correct. I think that because the warmer is just warming the bit of milk that the baby is drinking rather than the full bottle, it makes for quicker warming and means that the full bottle doesn't have to be wasted if all is not used straight away. Unlike other warmers, there is no second guessing whether the temperature is correct, Yoomi warms to perfect breast milk temperature every time! 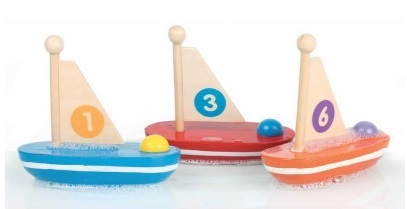 How would you like to win one of these? 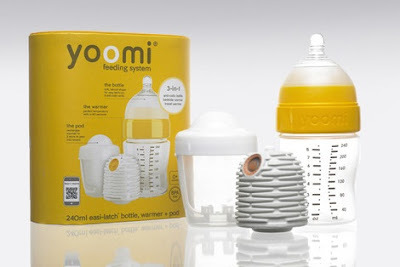 Well you're in luck then because the lovely people from over at Yoomi have offered us a Yoomi 8oz Feeding System to give away to one of our lucky readers. All you have to do to for a chance to win is enter over on our Facebook Page. 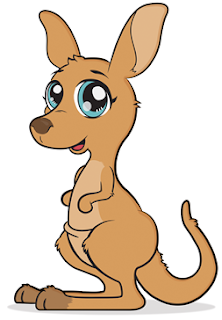 Please remember to check the T&C's at the bottom of the Rafflecopter application and our full terms here. This giveaway is open to the UK only and any entries left that do not follow the mandatory entries will be disqualified. After the compulsory entries, the Rafflecopter will then open a round of optional extras, you do not have to enter any of these but these will give you extra entries into the competition. 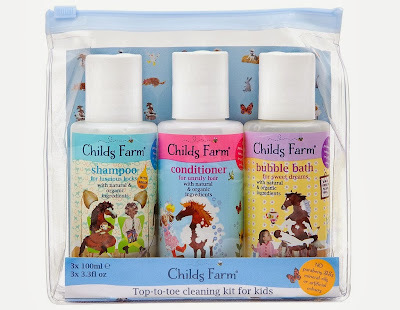 As a parent I know just how much we have a need to make our babies and children comfortable in life and so will forever be trying out new products, new brands and even a totally knew way of living just to make sure our children are comfy. 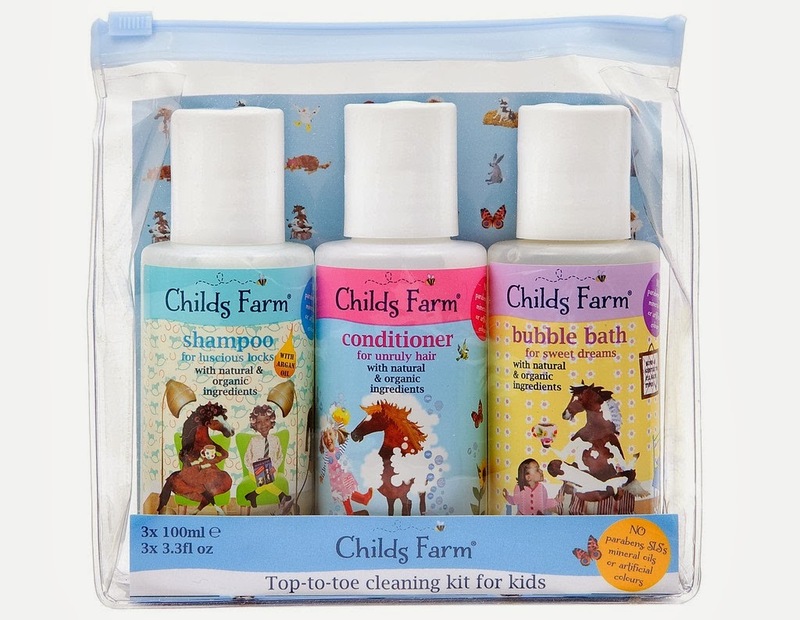 Finding the right products for you and your child can be hard, especially when there is such a vast range out there, but what do we need? 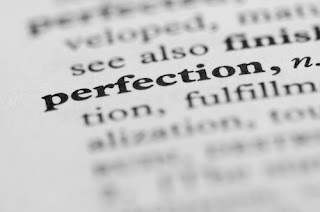 What are the products that are just a waste and what are the ones that are a godsend, the perfect products? Every product is made for an individual and as we know, everyone is different. What one person may like another will hate and so a definite answer on this subject is not possible. It is down to personal preference. When you go to buy a baby product make sure you take in to account how it will fit into your life. There is no point buying a certain cot just because one of your friends said it is good because, what if it doesn't fit in your space? Measure the spaces you have a thoroughly check items online using blogs (like this one) to see what others have thought about the things you are buying. Make a list of everything you think you will need and then go through it buying the products that fit in with your life, your style and house better. Look online for deals and try to make multiple purchases from the same place to save on delivery costs. I remember someone telling me that I should not, in no circumstances, waste my money on a moses basket because they take up space and babies don't actually like them. This was actually far from the truth because both of my boys preferred sleeping in a moses basket rather than a cot. So makes sure you go on your own intuition as a parent can only learn by their own mistakes. If you want something different then that is up to you. 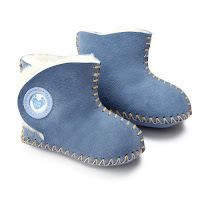 Go for a pair of sheepskin boots as they will be perfect for these winter months anyway. Pay a bit extra for the pram which is a bit more colourful or pay less if you don't have as much money. Or even baby wear rather than using a pram. It is up to you, you are the parent and you have to live with what you buy. Yes, do take other peoples advice into consideration but at the end of the day, that's all it is, advice. You choose what you think is best. It doesn't have to be the perfect product for everyone, just the perfect product for you! I know, I know, we are way behind with this! Well, with everything that has been going on at the minute. The busy school holidays and then the first year at full time school, it means that these posts have slipped but I am here now. Back to write them all up and show you our tips to keeping sane during the horrible annoyance which is Chicken Pox. Whilst Thomas and Charlie were suffering from Chicken Pox, we decided to waste time by baking. I mean, what's not to love? You get to measure, mix, pour, spread and then eat, result! We made a Victoria sponge cake with a jam and cream filling which was so yummy. Pre-heat the oven to 200C and butter 2 x 8inch cake tins. Mix the butter and the sugar together until they get a bit 'fluffy' and then add the rest of the ingredients a bit at a time until it is smooth. Divide the mixture between both tins and place in the oven for around 20 minutes until golden brown (See Tip Below!) then remove from the tins and place on a cooling rack. Whisk the cream until it is set and add the vanilla essence. Smooth the jam over one of the cakes and then dollop the cream on top. Then add the second cake to the top of this to finish the cake. And there you have it. A lovely cake and a great way to spend time with your children. Tip: To make sure a cake is cooked throughout, stick a metal skewer into the middle of the cake for a few seconds. When you pull it out, if it has cake mix on it then the cake needs a few minutes longer but if it is clear, the cake is cooked and ready to be taken out. Being in a family with 3 males, it was inevitable that I would get stuck doing boyish things all the time. I was dreading the guns, fighting and all the usual male behaviour that I would have to put up with from them. But actually, so far anyway, there hasn't been much that I haven't liked. Thomas does like guns and a lot of boyish toys but he's not really fussed and will play with most things as long as it stimulates his mind. The one thing that both of the boys are in to at the moment is pirates. With cartoons, films and musicals around at the moment that all base around this, it has always been a favourite of the family. Thomas gets a bit obsessed though. His pyjamas have to have pirates on them, or a boat or something associated with pirates. Even places we go end up turning in to some sort of pirate game and it is great to see as it shows just how much imagination kids do in fact have. Children's imaginations are so beautiful and a priceless tool for keeping them occupied during the holidays. So that got me to thinking, could we possibly go somewhere and do things based on this love for pirates? Avast! Me hearties. Yes we can. There is fun to be had in our local town centre as they have opened a beach for the school holidays. Not only is there sand, water and bbq food, but they also have a pirate ship there which you can walk around and Thomas loves this. Getting to walk round and act like a real pirate, how much fun is that. You can now even go on pirate family holidays at the Pirates Village, Gran Santa Ponsa where you can have an amazing experience playing pirate games and going on treasure hunts around the whole resort. Even the food and drink are fit for a captain. How amazing is that? Not only do your children get to have the most fun time ever, but you can top up your tan in sunny Majorca at the same time. 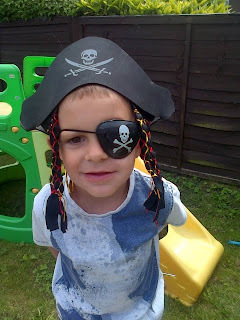 It is so nice that both boys have this love for pirates in common and I think we'll be finding more pirate related things to do to keep them both occupied in the future.